“When considering the strengths and weaknesses of Alcatel-Lucent and Nokia and their product portfolios, a merger of the two businesses seems logical." “When considering the strengths and weaknesses of Alcatel-Lucent and Nokia and their product portfolios, a merger of the two businesses seems logical,” explains Mark Newman, Chief Research Officer, Ovum Telecoms & Media. Nokia is a mobile-only equipment vendor, while Alcatel-Lucent’s strengths are in the fixed network business (especially core network and IP routing). “It has long-struggled in the wireless business, and its attempts to become a leading player in LTE have failed,” Newman observes. But there are also risks. Newman believes a full merger would plunge both businesses back into a period of introspection and restructuring. “It would create significant duplication in areas such as mobile broadband and small cells,” he adds. Furthermore, Newman thinks rationalising the two product lines would be difficult, and dealing with French labour laws could limit what Nokia would want to do (witness the French government’s pushback on Alcatel-Lucent CEO Michel Combes’ programs under the Shift Plan). However, reports indicate that this transaction would be an acquisition by Nokia, not a merger (as Nokia+Siemens and Alcatel+Lucent were). “An asset acquisition would potentially give Nokia’s CEO Rajeev Suri the power to rationalise both companies’ assets quickly and much more efficiently than a more complicated merger,” Newman adds. There has been some speculation that the deal only involves Alcatel-Lucent’s wireless division. While this would remove some of the strategic rationale of a merger, Newman believes it would help Nokia to bridge the gap in radio access network sales with Ericsson and Huawei. Nokia and Alcatel Lucent’s combined share of total LTE contracts was 26% at the end of 2014, behind Huawei (36%) and Ericsson (33%). “For both Nokia and Alcatel-Lucent, the big challenge facing their businesses is the shift in value from hardware to software and the convergence of IT and telecoms technology,” Newman explains. “Both companies are still firmly anchored in network hardware (although Alcatel-Lucent has, admittedly, been a pioneer in SDN and NFV – the technologies and network architectures that are most important to the future “virtualisation” of telecoms networks). Nokia will be fully aware of the risks associated with an acquisition of Alcatel-Lucent, Newman claims. “In deciding whether to enter into advanced discussions it will have taken a long-term view of the size and scale needed to compete with Ericsson, Huawei, and software giants such as HP, Oracle, and IBM,” he adds. Ovum’s opinion is that the telecoms infrastructure market is polarising rapidly between the tier-1 vendors (Ericsson and Huawei) and specialists. 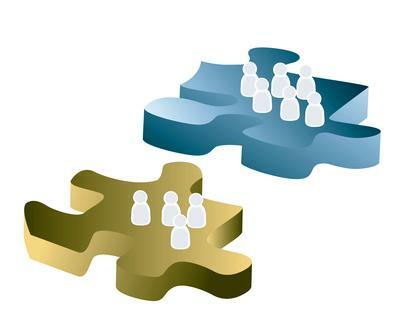 For Newman, the move to SDN/NFV may accelerate this as several CSPs may wish to partner with a single vendor who will act as a systems integrator. “The acquisition of Alcatel-Lucent’s assets will propel Nokia to a tier-1 position and will open doors to much bigger, end-to-end contracts that have largely been exclusive to Ericsson and Huawei,” Newman adds. However, Newman concludes that the wave of fixed-mobile consolidation that is sweeping across the globe and the transition to software-centric networks is transforming the telecoms network landscape and what will be required of the technology supplier of the future.